Death. It is, for all sims, the eventual end. No sim can avoid death forever; indeed, no sim should try to avoid death forever, as it is, in most cases, the natural conclusion to a life well lived. That said, not every death in The Sims 4 is natural, and many of them are the result of some poor judgement on your sims’ part (or, perhaps, malicious intent on your own). 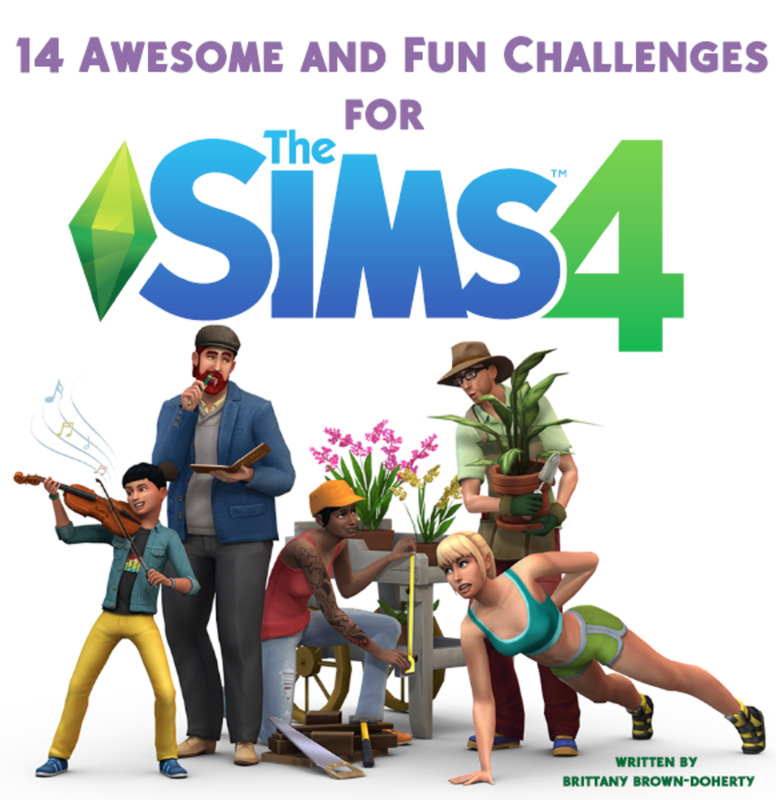 Below is a listing of the ways your sim can die in The Sims 4, as well as some other accompanying mechanics. Dying in The Sims 4 is really really difficult compared to some of the previous iterations of the game, so you often have your work cut out for you to off a sim. 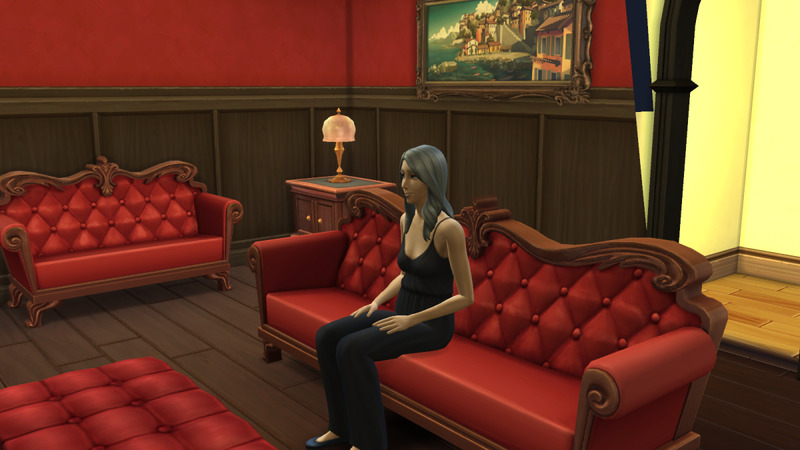 An elder sim in The Sims 4, watching TV. 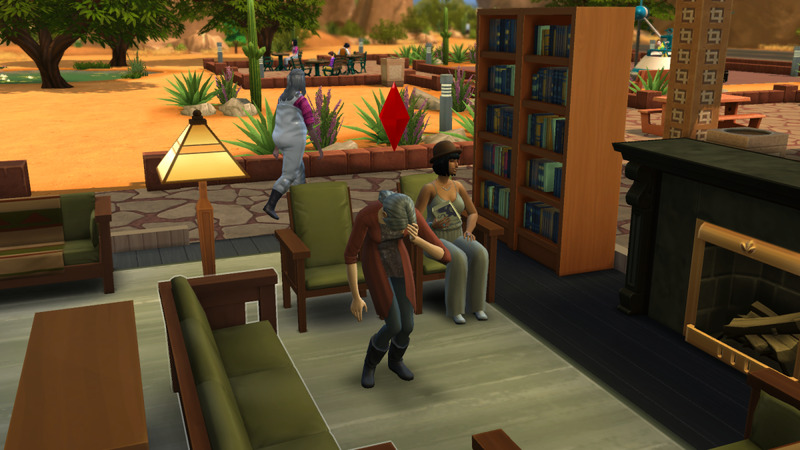 Old age is one way your sim can die, and it's often the most likely. Sims have six ages: Baby, Child, Teen, Young Adult, Adult, and Elder. Once a sim reaches Elder they run the risk of dying of old age, something sims can only avoid by turning off aging in the main menu. Click on your sim’s Simology tab (bottom-right corner of the screen) to see how long your sim has before they ‘age up’, which, in the case of an Elder sim, is the end of the road. 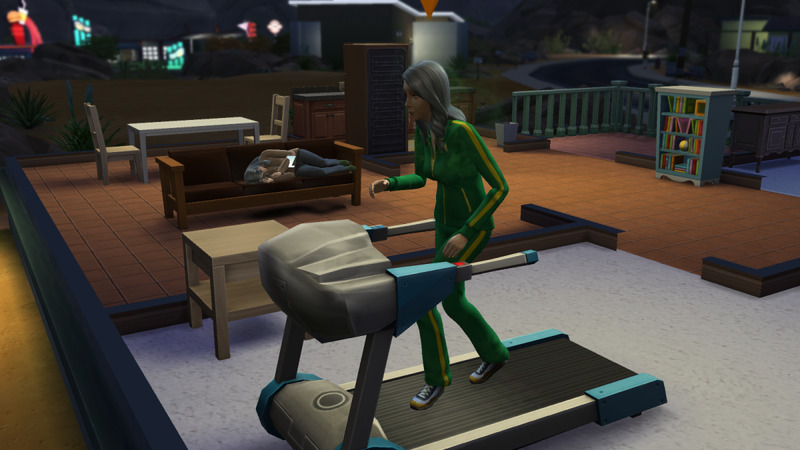 An elder sim on a treadmill in The Sims 4. Push your older sims too hard and they may die of exhaustion. 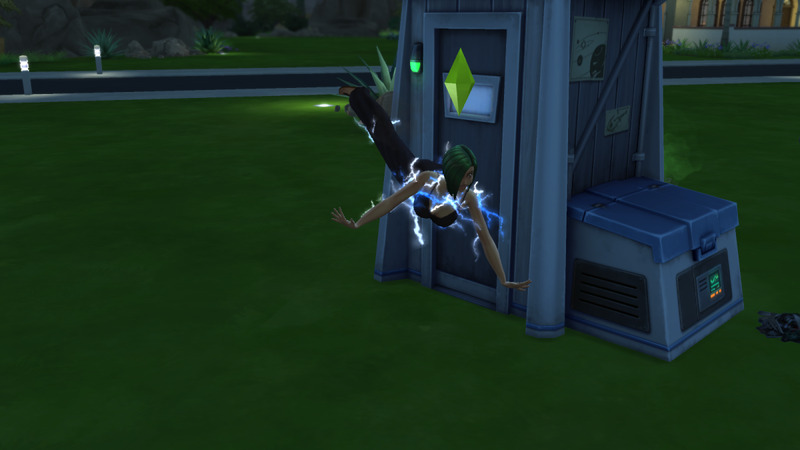 An electrocuted sim from The Sims 4. Never repair electrical items if your sim has a low Handiness skill. Most players will discover early on that broken objects around the house can be repaired by sims using the Handiness skill. This is no problem with the plumbing, but sims who attempt to fix electronics (televisions, fridges, ovens, stereos, that sort of thing) without a decently high Handiness skill (five or more) run the possibility of becoming either Singed or Seriously Fried when their repair efforts backfire. These effects last for several hours. 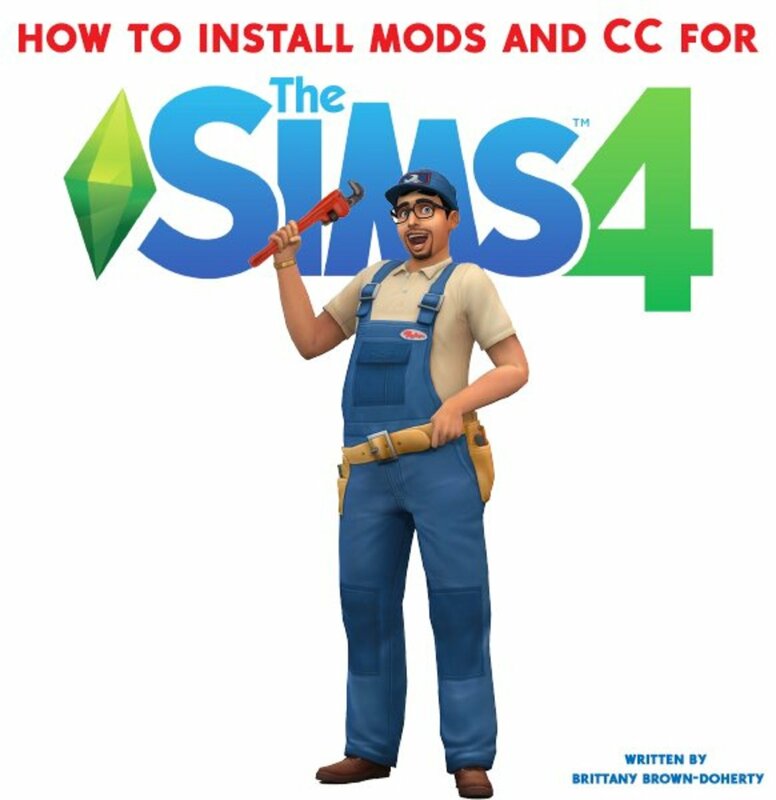 If the sim attempts to fix anything else with these Moodlets in place, they will be immediately electrocuted once the repair is complete. Zap. For obvious reasons, your sims like to eat. Regularly. Often, even. If a sim is deprived of food for a long period of time, roughly two days (it may vary), they will become Ravenous. From that point on the sim has twenty-four hours to eat something. If they don’t, the sim will die. Death by hunger is very difficult to accomplish unless you purposely want to kill your sim, in which case you’ll probably just pen ‘em up in a room with no doors and leave them to die. Villain. 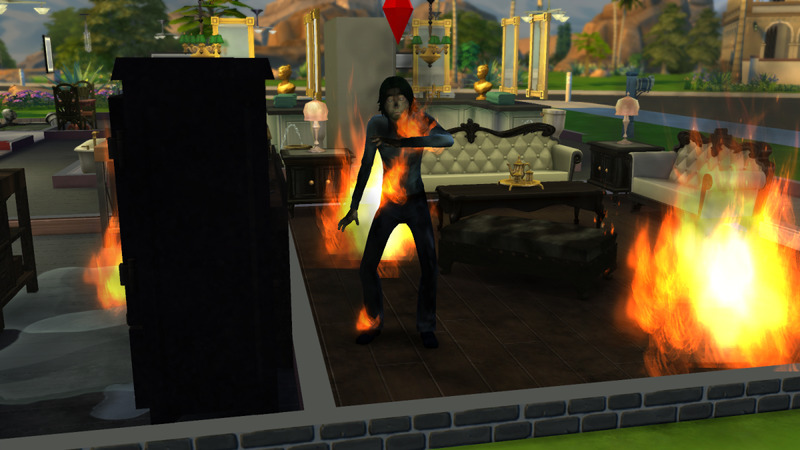 A sim on fire in The Sims 4. Ouch. When anything electronic breaks down, though the chance of a fire is pretty small. If the oven breaks in particular, or if your sim somehow mucks up while cooking. If a sim crashes after landing a rocket. You can ensure a crash by having one of your sims use the Mischief options Stuff Fruit in Exhaust Port or Sabotage Landing Stabilizers (in the former case your sim needs a piece of fruit or a vegetable to perform the action). The chances that a sim will die of fire under these circumstances are, nevertheless, fairly low. Fire can travel through walls and will quickly wreck your house if not extinguished, so unless you want your sims’ possessions to fry, it’s wise to crack out extinguishers on the double. 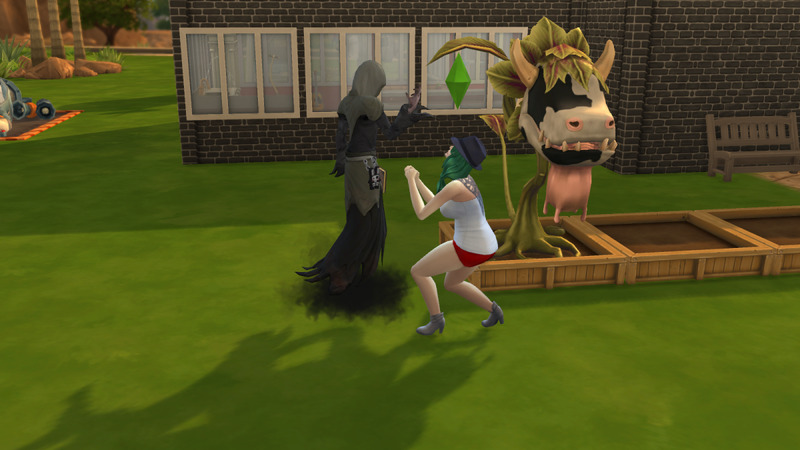 A sim about to be eaten by a cowplant in The Sims 4. The cake is a lie. If your sim is an exceptional gardener, or if you send sims into space on a regular basis, you may wind up with a Cowplant Berry. Plant the Berry and water it regularly and, within a few days, a Cowplant will grow. These hefty creatures are friendly to sims… at least unless you forget to feed ‘em daily. Neglect a Cowplant and it will attempt to lure sims over with a piece of cake, dangled tantalizingly from the Cowplant’s mouth. 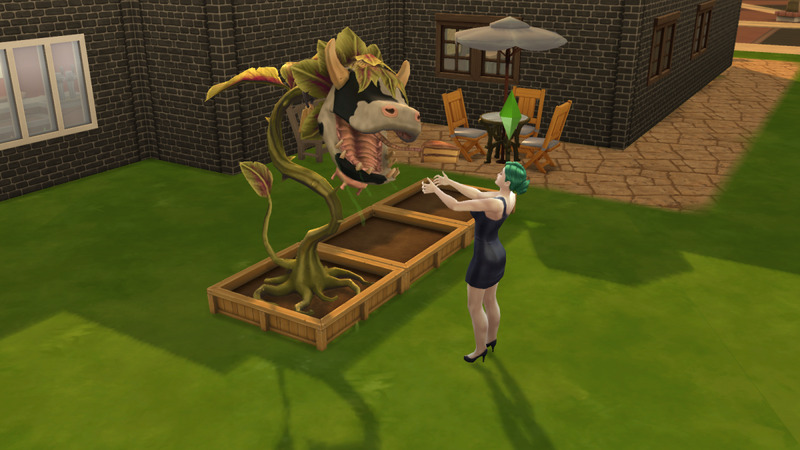 If a sim takes the bait - or if you make them take the bait - the Cowplant will eat the sim. Every time this happens the Cowplant will steal the sim’s current emotion and turn it into a handy item. There is, however, a good chance that the Cowplant will not spit the sim back out again. If this happens… yeah. In short, feed these things. An embarrassed sim in The Sims 4. Expose your sims to too much embarrassment and they may keel over just to escape an awkward moment, never to move again. An overly-jolly sim in The Sims 4. Drive a sim to laugh too much and they may laugh themselves to death. 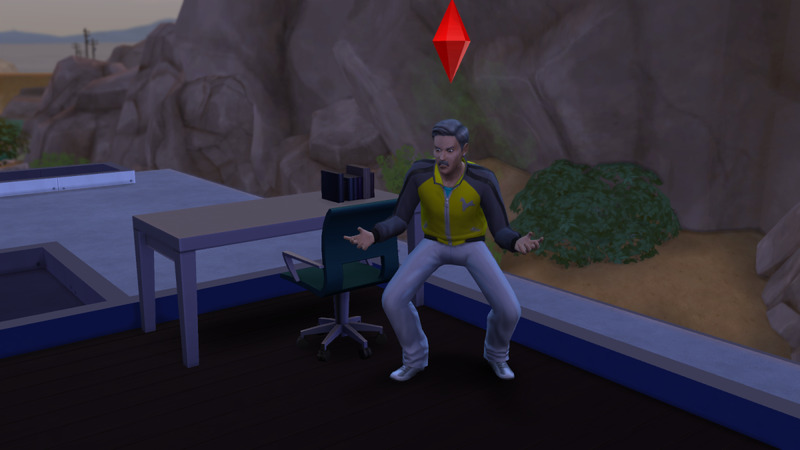 An angered sim in The Sims 4. Make a sim too angry and they can collapse from the stress of their anger. The Grim Reaper in The Sims 4. Only the Reaper can stop a death in motion... and only if he feels like it. 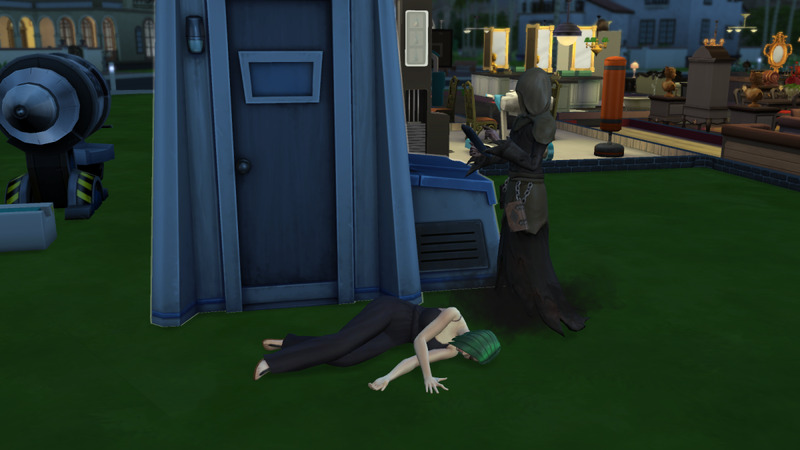 Regardless of how your sim died, the Grim Reaper will show up to collect their soul in the aftermath. If the Reaper is left to do this he will leave either an urn (indoors) or a gravestone (outdoors) behind. 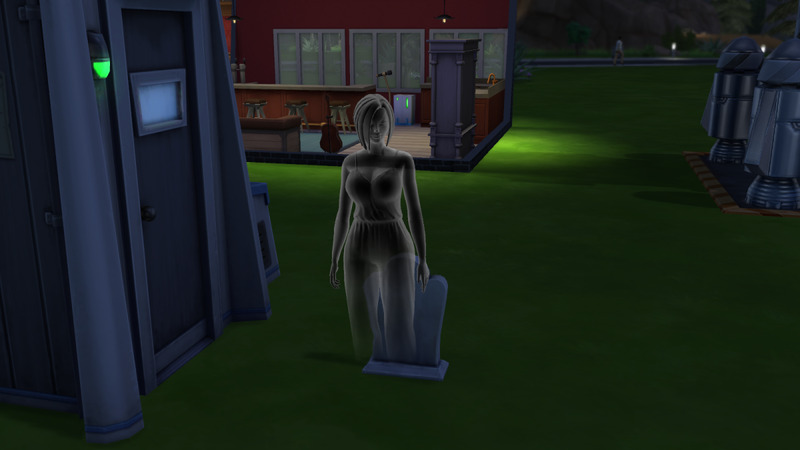 Either item can be stored in a living sim’s inventory, and when they’re deployed in the world your remaining sims will sometimes mourn over the urn / gravestone and become Sad. The only way to prevent this from happening is to have another sim run up and Plead with the Grim Reaper. If successful, the dead sim will be returned to life. The Book of Life in The Sims 4. Use one properly and you can bring a deceased sim back to life. Joy! … but it need not be the end. If you want your departed sim back, enrol one of your living sims in the Bestselling Author Aspiration. Once the Aspiration has been completed your sim will gain the Poetic Bonus Trait, allowing them to write The Book of Life at a computer. 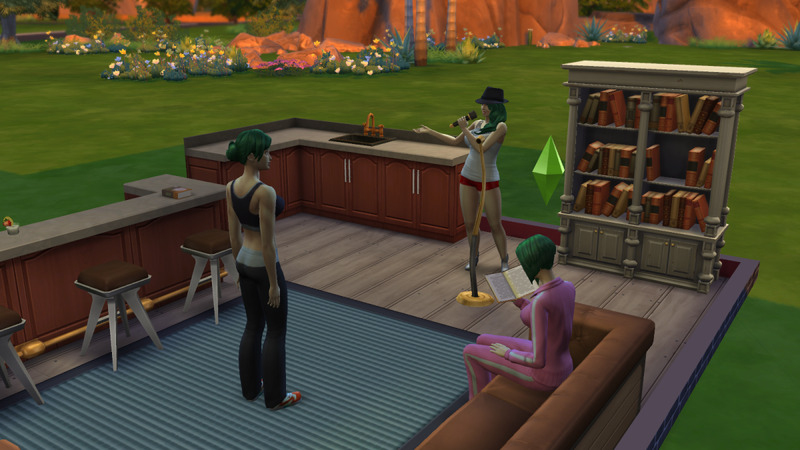 Though they take a while to create, Books of Life can be used via Capture Epic Saga to copy down the stories of still-living sims. Once that sim dies, use Summon on their Book of Life to bring them back to life. As easy as that… though there’s one major caveat: the sim can’t already be dead. The Book of Life has to be used on sims who are still alive. 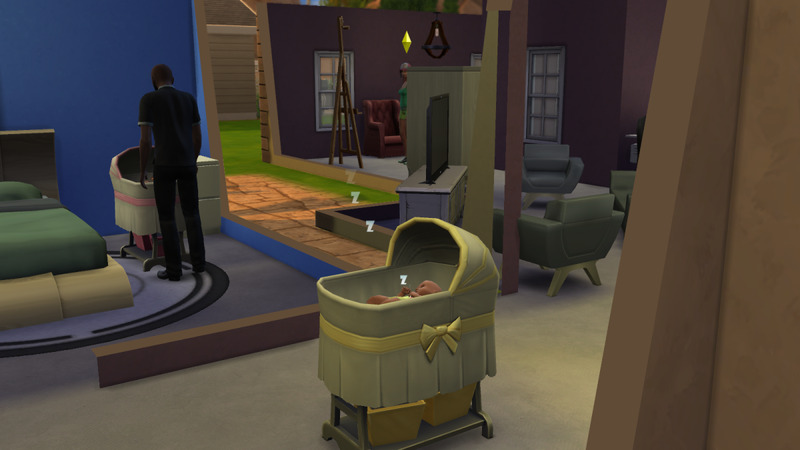 Sims that have died without a Book of Life ready to go are, for now, gone for good. Useful and rather funny hub. Sims is a great game! While I've chosen not to buy/play The Sims 4 (yet), it's exciting to get to read about the new methods of death in detail, thanks! Something I found from experience, if your sim proposes and is rejected, they immediately become mortified. Though this isn't really a viable way for killing them because you can't be certain you'll be rejected (in my case my Sim was proposing to someone who wasn't part of my household). Embarrassment, Exhaustion, and Cardiac Explosion, yes. Embarrassment and Cardiac Explosion are both tied to emotional states, which didn't exist in the same form previously. Exhaustion I'm kinda surprised is new, but there you go. As far as I know you could always be eaten by cowplants, but I didn't get a cowplant in The Sims 3, so I don't have firsthand experience. From what I've read, though, they will gobble your sims up quite happily. As I've told a few people, I suggest waiting a while. It's a fun game, but it's not fun for a long enough time to warrant purchase just yet. Wait until it gets bundled with a few expansion packs. 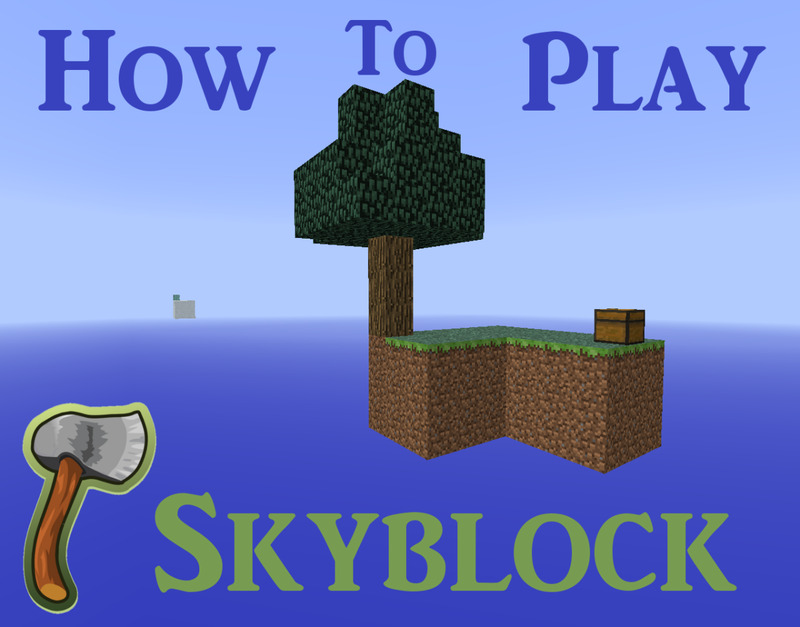 I did not know about the game before I read it. Thanks.